In mythological lore which goes for a lot of ancient Indian history, but which is all that we have, India was called a sone ki chidiya, the golden bird. She was largely invaded from the north-west. Being born in the foothills of the salt range of what is now Pakistan, my ancestors fought the invader and looted him when he returned with the riches of the great kingdoms to the east and south. It is interesting that in issues which relate with the security of India at the most serious level, worried as our ruling groups are over domestic anti-national threats to security, hardly any attention has been paid to the Chinese encirclement of India, dismissed as “nothing very serious”. This is a very creative interpretation of the Quit India movement—the movement that transformed the nature of political negotiations with British Empire in mid-1940s. Narendra Modi, in this sense, is absolutely correct in describing the Quit India movement as a marker of “sankalp”, or resolve. His suggestion that 1942-1947 period could also be seen as Sankalp se Siddhi (Resolve to Attainment) underlines the historical trajectories that paved the way for India’s Independence. 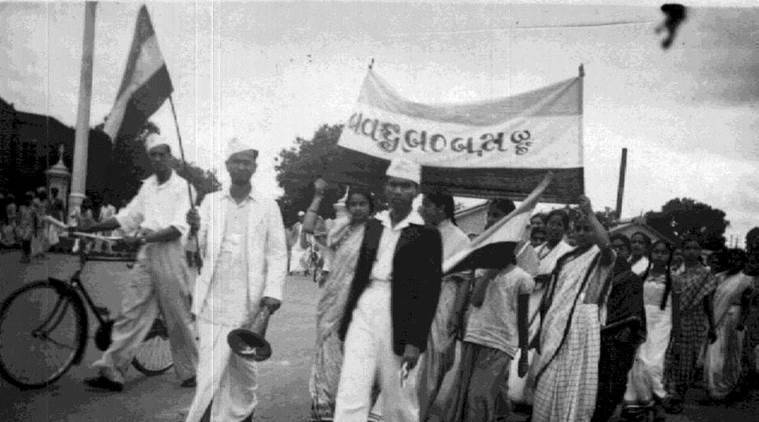 Modi is not the first political leader, who attempts to interpret the memories of Quit India movement in his own political context. His appeal to reenact the spirit of 1942-1947 in 2017-2022 reminds us an interesting debate that took place in 1992 when the government decided to celebrate the Golden Jubilee of the Quit India movement by renaming the India Gate lawns as August Kranti Park. In late July, rumors broke that the Indian Cabinet Committee on Economic Affairs (CCEA) had blocked a proposal by a Chinese conglomerate, Fosun International, to buy 86 percent of Indian drug manufacturer Gland Pharma. The block was instantlydescribed as a byproduct of the ongoing stand-offbetween Indian and Chinese forces on a Himalayan plateau claimed by both China and Bhutan. A closer look at the deal suggests that India’s concerns predate the stand-off and that India, like other countries with increasing exposure to China, is struggling to find a happy medium between much-needed investment and overexposure to China’s economic woes. The Fosun/Gland deal, first announced in late July 2016, was described as the first case of a major Chinese investment in an Indian manufacturing firm. It has shown signs of trouble since long before the Doklam stand-off began. India’s policy on Foreign Direct Investment (FDI) in the pharmaceutical sector required that investments of more than 74 percent in existing companies be approved by the Foreign Investment Promotion Board (FIPB) (this body is now defunct; the Fosun/Gland deal was one of the last cases it reviewed). The FIPB deferred decision on the proposal for two consecutive sessions, unusual although not unheard of; earlier reportssuggested that the FIPB’s reluctance to take up the proposal was due to the objections of the Home Ministry. Finally, at the end of March 2017, the FIPB pushed the proposal to the CCEA. This step was not administrative; the FIPB has full power to approve proposals involving investment of less than $785 million, and Fosun’s was listed at $675 million. India Unveils Its 'Robot' Tank: Could It Be a Game Changer? India has unveiled an unmanned armored vehicle—and it's a big one. While many military robots look like toys or little NASA Mars rovers, the Muntra is a full-sized armored vehicle. The Indian press refers to the Muntra as a "tank" and somewhat resembles a Russian BMP armored personnel carrier. It's unarmed for now, but does come in three versions: surveillance, mine clearing and operating in nuclear- or chemical-contaminated zones. The new vehicle was designed by the Combat Vehicles Research and Development Establishment, part of India's Defense Research and Development Organization (DRDO), which displayed the Muntra at a recent exhibition. The ongoing Doklam standoff has brought sharp focus on India and China. The two countries are being intensely compared in respects of not only military, economy and technological advancements. In early 1980s, India and China were roughly of same size in their economies and technological advancements. But, thereafter China made rapid progress while India looked lagging behind. The gap was not too wide at the eve of liberalization in India. In terms of GDP, Indian economy was about 4 per cent of the US economy in 1990 while Chinese was 9 per cent. But, in 2014, while India’s economy stood at 11 per cent of the US GDP, China was 60 per cent of the world’s biggest economy. Yet, there are many sectors where India is way ahead of China. Since 2011 China is slowing down. It is battling hard to keep its economy grow at the previous double-digit or high single digit GDP rate but, the economy is just showing signs of fatigue. In 2014, India finally caught up with China’s GDP growth rate. Chinese economy grew at 7.3 per cent that year compared to India’s GDP growth rate of 7.2 per cent. During the next two years, China’s GDP growth rate declines first to 6.9 per cent in 2015 and 6.7 per cent in 2016. On the other hand, India’s GDP grew at 7.6 per cent each of two years. Chinese economy has taken a mammoth proportion on the back of stupendous growth of its manufacturing sector. Its high GDP growth rates had been driven by bulging manufacturing sector of China. On the other hand, India’s economic growth model has been more balanced and hence growth has been steadier. Summary: Because combat aviation is steadily moving towards the dominance of stealthy platforms, India should be seeking to leverage these purchases towards the development or the acquisition of fifth-generation fighters. 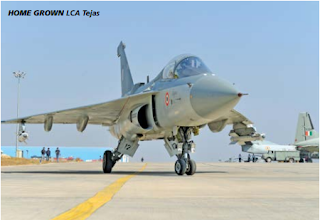 During the last year, the Indian Air Force (IAF) and the Indian Navy (IN) confirmed what must have been the worst kept secret in New Delhi: that the Tejas Light Combat Aircraft, for all its achievements, was unsuitable as a strike-fighter for their near-term modernisation requirements. Where the IAF was concerned, the request for information (RFI) for a new single-engine fighter issued in the United States, Russia, and Sweden in October 2016 marked a further twist in its long-running saga to complete the Medium Multi-Role Combat Aircraft (MMRCA) acquisition that first began in 2001. After the aborted competition led to an off-the-shelf purchase of just 36 Rafales in 2015 — instead of the 126 aircraft originally intended — the question of how the IAF would overcome the deficit of the 90 remaining fighters was still unanswered. There were some in India who argued that the IAF should jettison the MMRCA requirement altogether and fill out the remainder of the force with more Su-30s at the high-end and additional Tejas fighters at the low-end. Rabindranath Tagore died, aged eighty, on August 7, 1941, Baishey Srabon, the 22nd day of the Bengali month of Shravana. This year, Baishey Srabon was yesterday, observed with due solemnity across West Bengal, Bangladesh, and beyond, but not too many seem to have commented on the fact that gurudev's death was followed almost exactly four years later by the twin bombings of Hiroshima and Nagasaki, the former destroyed on August 6, 1945, the latter three days later, on the 9th - so far the only two times nuclear weapons have been used in war. While debates will continue until the end of time (or nuclear annihilation, whichever comes first) about the necessity or otherwise of having dropped the atom bombs on Japan, and whether or not they were anything more than exercises to demonstrate that the monstrously expensive Manhattan Project had, in fact, borne viable fruit, there cannot be any debate about the fact that the Second World War had horrified Rabindranath, who saw in it the manifestation of an evil he had seen and denounced decades ago. Facing up to a massive psychological war unleashed by China,with President Xi Jinping threatening to beat back any invader, India has decided that its army will settle for a long haul at Doklam and not blink anytime soon. The Chinese media, backed by the State, have unleashed a flurry of threats, ranging from a 'repeat of 1962 and worse' to 'India standing no chance in a conflict' and much more. Chinese columnists (fellows at Chinese think tanks) have written opinion pieces in Asian and Western media outlets, justifying the Chinese road construction at Doklam, strongly backing the claims that Doklam (or Donglang) was theirs, and projecting India as an aggressor. One Bhutanese columnist, reportedly close to a Delhi-based Chinese diplomat, has even asked India to leave Thimphu and Beijing alone to sort out their boundary differences and settle the Doklam stand-off, in effect suggesting that India should pull back its troops and not position them to confront China by invoking the 1949 treaty of friendship. Chinese writers have also focussed on the 1890 treaty between Sikkim and Tibet, saying that the boundary in this sector is settled, unlike in the west and the east, meaning Doklam is China's without doubt in spite of Bhutanese claims to the contrary. 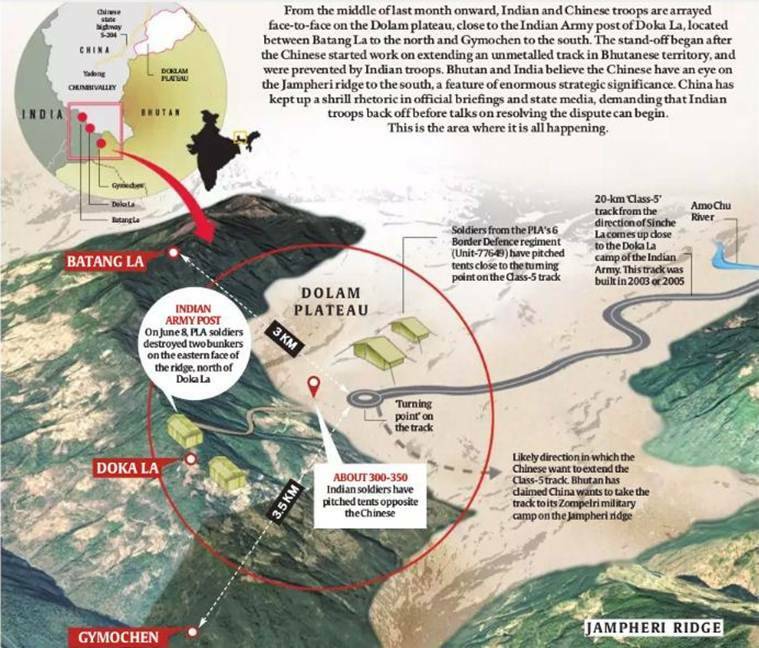 The Chinese offensive has been coordinated and multi-pronged, straddling diplomatic, military and media spaces, even as Beijing fumed with rage because its troops failed to push ahead with road construction through Doklam. Pakistan's now-ousted Prime Minster Nawaz Sharif (R) inaugurates CPEC projects with Chinese President Xi Jinping in 2015. There’s no civil-military divide in Pakistan when it comes to the Chinese megaproject. With the dismissal of Prime Minister Nawaz Sharif on July 28 by Pakistan’s Supreme Court, eyebrows were raised about the future of the $62 billion China-Pakistan Economic Corridor (CPEC). Some media outlets ran stories questioning whether the government of Pakistan would adhere to the project without Sharif at the helm. The fact remains that the multi-billion dollar enterprise will continue to be followed by the government despite the leadership change; the crucial project is between Pakistan and China, a relationship that is well known for its stability. Plus, if the project were to be discontinued for whatever reason, Pakistan would not be able to clean up the resulting mess and economic anarchy. If any force inside China or Pakistan, civilian or military, attempted to scrap CPEC, the consequences would be horrible for both sides. Pakistan would no longer have a viable economic plan without CPEC, while for China, without CPEC the entire gambit on its Belt and Road — including building other five economic corridors linking East Asia to Europe — could be wiped out, as CPEC is the flagship of all those related projects. The country is still dangerous nearly 17 years after the U.S.-led ouster of the Taliban regime. President Trump reportedly told his top advisers he thinks the U.S. is “losing” the war in Afghanistan, and is reportedly considering replacing his top general in the country with Lieutenant General H. R. McMaster, his national-security adviser. That Trump is skeptical about the need for more U.S. troops in Afghanistan isn’t a surprise. Last month ahead of a meeting with veterans of the Afghan war, Trump told reporters: “We’ve been there for now close to 17 years, and I want to find out why we’ve been there for 17 years, how it’s going, and what we should do in terms of additional ideas.” Asked during a subsequent visit to the Pentagon about whether he’d sent more troops to the country, Trump replied: “We’ll see.” In June Trump gave the Pentagon authority to set troop levels in Afghanistan. Still, Defense Secretary James Mattis has not yet deployed 3,900 troops the president authorized in June to send to Afghanistan, possibly because of Trump’s skepticism of the continued U.S. presence in the country. The Cipher Brief: How would you assess the current debate within the administration over what the Afghanistan strategy should be? Admiral Sandy Winnefeld: Welcome to the NFL. Many similar debates were held within the Obama administration, so it is no surprise that there are strongly opposed factions in this administration. From what I understand, the president is starting by asking very important questions regarding the relevance of Afghanistan to U.S. national security interests. It is his job to do so, and it goes without saying that the greater the intersection of Afghanistan with those interests, the more we would be willing to commit — treasure, blood, opportunity cost — to protect them. On the one hand, I believe the president senses that the military is committed to Afghanistan because it hates unfinished business and doesn't want to walk away — and that the national security advisor and others are passionate counter-insurgency practitioners who are immersed in the problem. Parag Khanna is a senior research fellow at the Centre on Asia and Globalisation at the Lee Kuan Yew School of Public Policy in Singapore. The opinions in this article belong to the author. (CNN)Much has been made recently of how the policies of the Trump administration clash with the global conventional wisdom -- and how these contrast with the new spirit of global leadership emanating from China. As Trump touted protectionism and "America First," Chinese premier Xi Jinping defended globalization at Davos. While Trump was bashing the stinginess of the US' NATO on defense, China convened the "One Belt, One Road" summit of dozens of Eurasian nations to ratify the largest coordinated cross-border infrastructure spending initiative in human history. And no sooner had Trump pulled the US out of the Paris climate agreement than China and the EU signed a raft of new partnerships around clean energy. With or without Trump, it is undeniable that a deep and broad strain in American society and leadership is skeptical about trade liberalization, multilateralism and binding global norms. Whereas once America was the missionary driver of all three, right now it formally rejects them. Can the US really stop China’s access to American AI tech? Washington is buzzing with reports that the US plans to heighten scrutiny of Chinese efforts to access artificial intelligence (AI) and other sensitive technology by acquiring or taking stakes in cutting-edge Silicon Valley firms. The worry is that China, or others, will use acquired American AI tech to ramp up their military and economic power. The Pentagon is said to have a report under wraps that says China is dodging US security reviews by engaging in outwardly harmless joint ventures, investing in early-stage startups or gaining minority shareholdings in US tech companies. 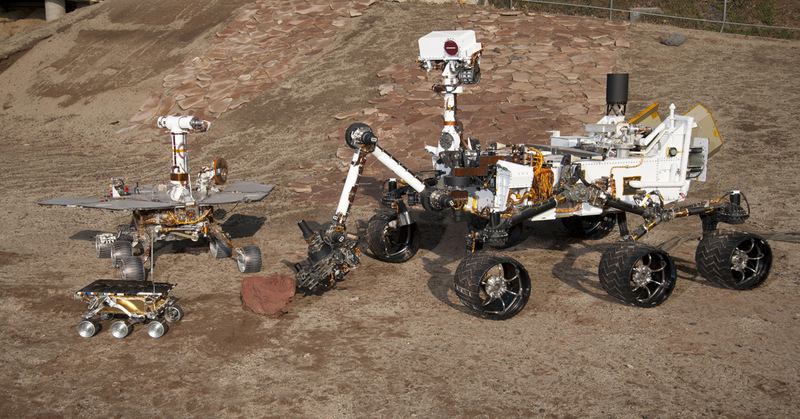 But a larger question is whether it’s practical or even possible for the Committee on Foreign Investment in the United States (CFIUS) – the inter-agency committee that reviews foreign acquisition of US firms on national security grounds – to restrict Chinese access to AI, especially given that AI is on the verge of becoming an integral part of many mainstream technologies. Another issue is whether Beijing, which already invests heavily in the sector, is really making a concerted effort to steal stateside AI tech while skirting US oversight. Former US officials and defense analysts say that Washington has no choice but to act. They note precedents set by past US efforts to control outflows of sensitive technology. Their hope is that this can be done in the case of AI, though signs are that the technology may become too prevalent to effectively police. The Pentagon's annual report on the Chinese military states that in December the Chinese created a new Strategic Support Force that will unify space, cyber, and electronic warfare capabilities. JERUSALEM — Political cartoons depict flames licking at the foundations of the fortresslike household of Prime Minister Benjamin Netanyahu. Commentators say the noose is tightening around his neck. For months, Mr. Netanyahu has been under investigation in two separate, leak-ridden graft cases involving illicit gifts from wealthy friends and back-room dealings with a local newspaper magnate in a bid for favorable coverage. The latest blow came just before the weekend, when the Israeli police signed a state’s witness deal with Ari Harow, Mr. Netanyahu’s former chief of staff and once one of his closest confidants. A day earlier, in a legal document pertaining to the negotiations with Mr. Harow, the police said in writing, for the first time, that Mr. Netanyahu was suspected of bribery, as well as fraud and breach of trust. In light of these developments, analysts say, it appears likely that Israel’s longest-serving prime minister after David Ben-Gurion will ultimately face charges, injecting his fourth term with a new level of turbulence and intrigue. The question now, his critics say, is how long he can stave off what they view as his looming political demise. The MiG-23: Russia's Worst Fighter Jet Ever? In the 1980s, the U.S. Air Force's secret 4477th Test and Evaluation Squadron evaluated a collection of captured or donated Soviet aircraft to determine their strengths and weaknesses. With this year marking the fiftieth anniversary of the MiG-23’s first flight, it's worth asking: was the West's contempt justified? Or did the Flogger have the last laugh? The MiG-23 began its life in the early 1960s. Impressed by America's new F-4 Phantom, the Soviet military asked the MiG design bureau to design a successor to the MiG-21 Fishbed, according to Yefim Gordon and Keith Dexter, writers of an authoritative history of the MiG-23. The new fighter was to be capable of achieving Mach 2.2, have a longer range than the MiG-21 and have a short takeoff and landing (STOL) capability to operate from rough airstrips. In return, Soviet commanders were willing to accept a less maneuverable aircraft. The South China Morning Post jogged our memory by retrieving from the archives of the Wilson Centre in Washington the transcript of a conversation between the then Soviet leader Nikita Khrushchev and the Chinese leadership regarding the deteriorating India-China relations. The conversation took place in September 1959. Khrushchev was visiting China to attend the National Day celebrations marking the tenth anniversary of the Chinese Revolution. Also present at the meeting were the unofficial chief ideologue of the CPSU Politburo Mikhail Suslov and the Soviet Foreign Minister Andrei Gromyko. From the Chinese side, Mao Zedung was flanked by First Vice-Chairman of the CCP Liu Shaoqi, Premier Zhou En-Lai, Vice-Premier Lin Biao, CCP Politburo member Peng Zhen, Vice-Premier and Foreign Minister Marshal Chen Yi. In 1980 it was clear the political situation in the Middle East was deteriorating. Citing the Iranian revolution and the Soviet invasion of Afghanistan, the Carter administration established the so-called Rapid Deployment Force (RDF). Designed to quickly deploy U.S. air, sea and land forces across the world into the Middle East, the RDF (which later evolved into U.S. Central Command) demanded strategic mobility and firepower. The U.S. Army and Marine Corps examined a new generation of light armored vehicles that could be used to equip their contributions to the RDF, including theAAI RDF/LT, or Rapid Deployment Force Light Tank, equipped with the ARES 75-millimeter automatic cannon, dune buggies armed with TOW missiles and heavy machine guns, and the new M1047 LAV. Based on the GM Canada Light Armored Vehicle, itself based on the Swiss Mowag Piranha, the M1047 was an eight-by-eight wheeled armored vehicle with a turret armed with a 25-millimeter Bushmaster automatic cannon and a 7.62-millimeter medium machine gun. McKinsey research finds seven levers can fix construction’s productivity problem, but they require a new approach from all players. We heard from industry leaders about which barriers to change are most likely to fall first. The McKinsey Global Institute (MGI’s) Reinventing construction: A route to higher productivity report, released in February 2017, found that the construction industry has an intractable productivity problem. While sectors such as retail and manufacturing have reinvented themselves, construction seems stuck in a time warp. Global labor-productivity growth in construction has averaged only 1 percent a year over the past two decades, compared with growth of 2.8 percent for the total world economy and 3.6 percent in manufacturing (exhibit). The report confirmed many reasons for this persistently poor performance, including stringent regulations and dependence on public-sector demand, informality and sometimes corruption, industry fragmentation, and mismatches in risk allocations and rewards. In addition, project owners reported that it can be hard to navigate the opaque construction marketplace—particularly when they do not frequently manage major projects. This struggle often results in subpar project management and execution, inadequate design processes, and underinvestment in skills development, R&D, and innovation. CAPITOL HILL: The security of nuclear command and control is the Holy Grail of the US military. Nothing, especially in these turbulent days, matters more. Aside from occasional talk about the nuclear football — as the case containing the nuclear codes is known — most Americans know little about what would happen in the event that the president needed to order a nuclear strike. In a moment of utter lucidity on the topic, Vice Chairman of the Joint Chiefs of Staff Gen. Paul Selva outlined this morning just what the standards and broad actions are governing the most grim order anyone would ever have to make. He spoke at a breakfast on nuclear issues sponsored by the Air Force Association’s Mitchell Institute. I asked Selva if there were lessons to be learned for the next iteration of the nuclear command and control system from the Air Force’s early work on the Multi-Domain Command and Control system (MDC2), designed to take data from as many sources around the world as possible and allow commanders to use that data to good effect no matter whether it’s from a ship, a submarine, a plane, a soldier, sailor, airman, Marine or a satellite. I spoke after his remarks with a very experienced nuclear warfare expert who said Selva’s description was the clearest and most concise he had ever heard about nuclear command and control. Best Defense is on summer hiatus. During this restful spell we offer re-runs from the past 12 months. This item originally ran on Feb. 7, 2017. There is a powerful article in the February issue of the Marine Corps Gazetteby Capt. Joshua Waddell, a company commander in the 1st Marine Division. It is so heartfelt that it kind of jumps off the page. Best Defense is on summer hiatus. During this restful spell we offer re-runs from the past 12 months. This item originally ran on Mar. 20. So argue two Marine officers in an interesting article in the March issue of the Marine Corps Gazette. They say this will be caused by two things we already are seeing: universal access to ISR (intelligence, surveillance and reconnaissance), and non-line of sight precision-guided munitions. They argue that the Marines need to reorganize their infantry somewhat. They basically want to add scouts, reconnaissance, signals surveillance, counterbattery, unmanned aerial vehicles, and missiles to the existing infantry company. It would be a small, agile unit with the skills and fires of a battalion. This reminds me a lot of the experimenting the Army did when it was learning how to use the Stryker in the late 1990s. Basically, Jim Dubik, the general leading that work, was thinking about how infantry captains would have on hand the assets that a brigade commander or division commander used to have — indirect fires, aviation, and precision fires. Ever since the Second World War ended, there has always been talk of when the next global war will break out. But probably what many people don’t realize is that the Third World War everybody fears has been underway over the past decade with the United States, Russia and China as the principal players. Yet unlike the two previous world wars, the ongoing Third World War is being fought not on real battlefields but in the cyberworld. The technologies being applied in this cyber war have come a long way over the years so much so they can not only do simple tasks such as enabling hackers to steal emails from state leaders’ personal computers, but are also capable of toppling regimes, taking control of strategic military bases or even creating financial turmoil on enemy soil. Contrary to popular belief that most hackers are either “lone wolves” or work for non-governmental bodies like WikiLeaks, the ongoing cyber war is mainly dominated by state-sponsored hackers, many of whom are themselves either military or intelligence personnel. Suffice it to say that the ongoing cyber war among the great powers is indeed a lot closer to us and far more intense than most people think. This is part seven of a series exploring the differences between military cyber forces, capabilities, mission sets and needs. For previous installments, see part one, part two, part three, part four, part five and part six. The Marine Corps Forces Cyberspace Command, or MARFORCYBER, is a direct service link for U.S. Cyber Command, but the Marines Corps mission set in cyberspace is much more expansive than just the man, train and equip cyber mission force CYBERCOM contribution. 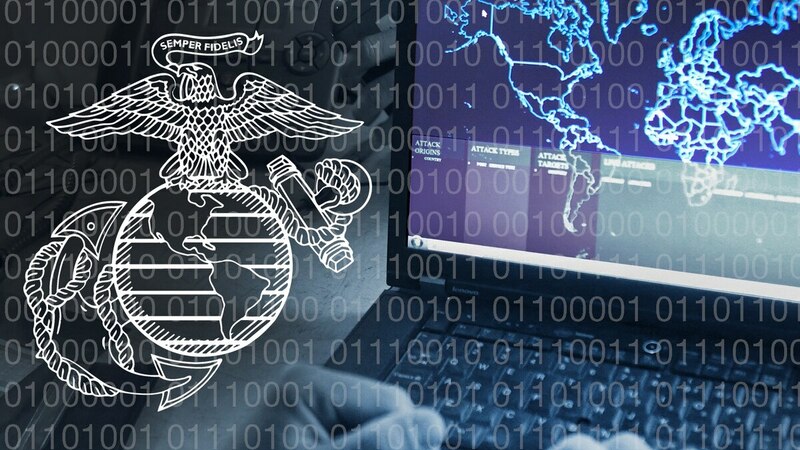 MARFORCYBER, similar to the other service cyber components, conducts cyber operations and secures, operates and defenses the Marine Corps Enterprise Network (MCEN). Maj. Gen. Lori Reynolds, commander of MARFORCYBER, described in written congressional testimony how MARFORCYBER is helping to add cyber capabilities into the Marine Air Ground Task Force, or MAGTF. Rapid advances in robotics and artificial intelligence are making inroads in the workplace, with machines carrying out physical and cognitive activities. What will this mean for employment? In this video, one in a four-part series, experts from academia and industry join McKinsey partners in a discussion of key issues about what automation may or may not change. 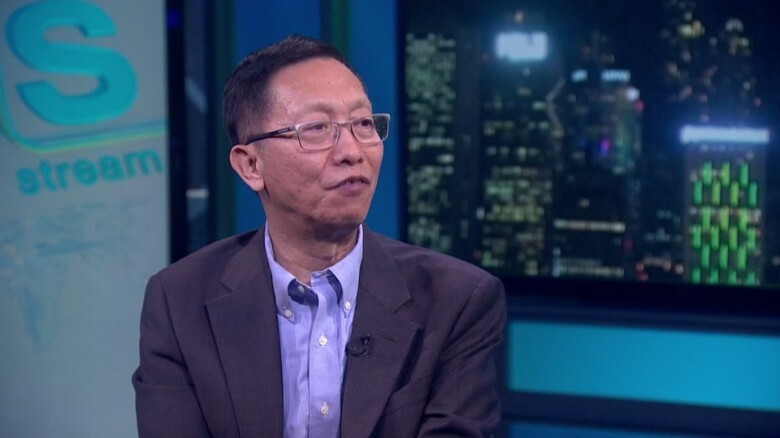 The interviews were filmed in April at the Digital Future of Work Summit in New York, which was hosted by the McKinsey Global Institute (MGI) and New York University’s Stern School of Business. Interviewees include NYU professors Arun Sundararajan and Vasant Dhar; Allen Blue, a cofounder of LinkedIn; Carl Camden, former CEO of Kelly Services; Stephane Kasriel, CEO of Upwork; McKinsey senior partner Katy George, and MGI partners Michael Chui and Susan Lund, who convened the summit together with professor Sundararajan.